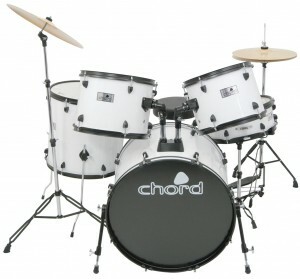 Crash cymbals included with stands and pedal beater for the kick and a padded drum throne. Drum key and hex key are also included. All shell hardware is White metallic finish. Shells are gloss vinyl covered.